Liz spent the first half of her career in front a computer. As an M&A analyst, then internal hedge fund security analyst with First Boston in the 1980s, Liz was on the leading edge of Wall Street’s boom in quantitative analysts. 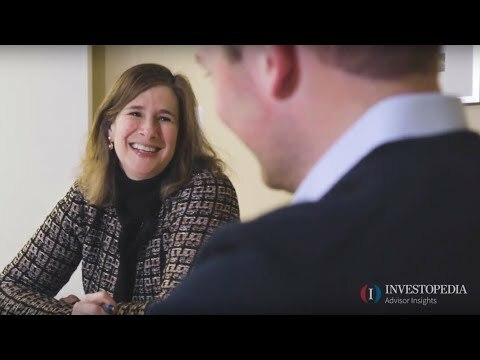 In the early 90’s, Liz joined Oppenheimer Funds: After managing mutual funds for a short-time, she decided she wanted to use her experience and expertise to more directly help people achieve their financial goals. Liz went on to become managing director and the head of equity research for Trevor, Stewart, Burton & Jacobsen, where she managed and advised institutional and individual clients. Liz is a member of the editorial advisory board for Trusts and Estates Magazine. She currently serves as Vice President of the Alumni Board of the Sphinx Society of the University of Pennsylvania, Treasurer of the Essex Skating Club of NJ, and sits on the External Advisory Board of NJIT. Liz is a member of the CFA Institute, the Financial Planners Association (FPA), the National Speaker’s Association (NSA) and Women’s President Organization (WPO). Liz journeys to The Chautauqua Institution every summer to teach classes that allow for both teaching and a sharing of experiences and ideas among a variety of participants. In addition to earning numerous industry awards, such as the 2017 and 2018 Five Star Wealth Manager recognizing top advisors for the highest in service and overall satisfaction, Liz is the author of “Clutter-Free Wealth: A Goal-oriented Guide to Gaining Control of your Affluence.” She is regularly quoted and featured in the media as a strategist and market expert for The Wall Street Journal, U.S. News & World Report, CNBC, MarketWatch, and Financial Planning Magazine. Liz received a B.S. in economics from The Wharton School at the University of Pennsylvania and an M.A. from Columbia University. Please remember that past performance may not be indicative of future results. Different types of investments involve varying degrees of risk, and there can be no assurance that the future performance of any specific investment, investment strategy, or product (including the investments and/or investment strategies recommended or undertaken by Summit Place Financial Advisors, LLC -“SPFA”), or any non-investment related content, made reference to directly or indirectly in this blog will be profitable, equal any corresponding indicated historical performance level(s), be suitable for your portfolio or individual situation, or prove successful. Due to various factors, including changing market conditions and/or applicable laws, the content may no longer be reflective of current opinions or positions. Moreover, you should not assume that any discussion or information contained in this blog serves as the receipt of, or as a substitute for, personalized investment advice from SPFA. Please remember that if you are a SPFA client, it remains your responsibility to advise SPFA, in writing, if there are any changes in your personal/financial situation or investment objectives for the purpose of reviewing/evaluating/revising our previous recommendations and/or services, or if you would like to impose, add, or to modify any reasonable restrictions to our investment advisory services. To the extent that a reader has any questions regarding the applicability of any specific issue discussed above to his/her individual situation, he/she is encouraged to consult with the professional advisor of his/her choosing. SPFA is neither a law firm nor a certified public accounting firm and no portion of the blog content should be construed as legal or accounting advice. A copy of SPFA’s current written disclosure Brochure discussing our advisory services and fees is available for review upon request.Please Note: SPFA does not make any representations or warranties as to the accuracy, timeliness, suitability, completeness, or relevance of any information prepared by any unaffiliated third party, whether linked to SPFA’s web site or blog or incorporated herein, and takes no responsibility for any such content. All such information is provided solely for convenience purposes only and all users thereof should be guided accordingly. When you tackle your spring cleaning, don't forget to include your financial accounts and records. Charitable contributions remain one of the few tax deductions for those who will still itemize on their tax returns. Here are five giving options. This is such a tough question because we know that a safe retirement comes from savings as much as possible as early as possible. Still, so many people like you are staring down lots of student debt. The mathematical answer is easy- if you are making a greater return on your money in your 401K than the rate you pay on your student loans, maximize your 401K. In real life, though, the answer isn't as easy. Remember that your 401K savings is protected from creditors, so if there ever is a real problem with that student debt load, your retirement savings in the 401K is protected. This knowledge may give you the confidence to maximize your 401K and just keep making regular payments on the student debt. Alternatively, If you are able to maximize your 401K contributio today, you might increaseyour current contribution to perhaps $10,000 this year with a plan to steadily increase it towards the maximum over the next 3-5 years. This is a compromise that still increases your retirement savings today while also paying a bit more toward the loans. How does capital gains tax work? When you sell your home, you must calculate the capital gain you have earned for tax purposes. From your proceeds, you may subtract all your selling fees Next you can you update your cost basis by adding to your original purchase price all home improvements you have documentation to support. The difference between the adjusted proceeds and the adjusted costs basis is your capital gain. Ff this is primary home, the good news is that you are not going to pay any capital gains taxes at all. Current tax law exempts the first $250,000 in gains from taxes if you are single or first $500,000 in gains if you are married. Is there a way to reduce taxes when selling stock? The first question is how did you get the certificate? Since it is rare to purchase a stock these days in which a certificate is delivered, I wonder if this was a gift or perhaps inherited? Capital gains taxes are calculated based on the price sold minus the cost basis in the stock. If you purchased it for $21,390, you have a loss in the stock right now. If it was a gift or an inheritance, it does not matter the price when you "got" the certificate, but the cost when it was purchased or the date of death value on an inheritance. The best way to minimize taxes when selling a stock is to hold it at least one year. When you sell a stock in less than a year, the gain is taxed at your ordinary income tax rate. If you hold it more than a year, you owe only capital gains rates. Currently, as a single person you do not have to pay any capital gains taxes if your total taxable income is less than $51,700 i the year ($77,200 for joint filers). Your rate may be lower when you retire, but the stock might grow in value by then so that there is a greater amount of taxable gain. First, though, you should decide if this is even an investment you would like to keep owning. Does it fit your goals? Does it fit your risk profile? Since you have the physical certificate, when you do decide to sell, you will have to either contact the transfer agent for the stock or deposit the stock into a brokerage account. If your focus is only on the addition of a plan then the 457(b) may be your best choice because of the ability to withdraw without penalty before 59 1/2. BUT the bigger question given the information you shared is where and how to bext maximize your retirement savings. You have a great start at your age with the account at Vanguard. Congratulations! The next layer to the emergency fund should be trying to maximize your retirement savings. Are you reaching your $18,500 limit with the current 401K? Can you? Does the 401K offer a Roth 401K option? If so, consider splitting your retirement savings strategy between an after-tax Roth 401K contribution and a pre-tax contribution in any of the other plans. Your overall goal in selecting a plan is not necessarily to add more plans, but to put away as much as allowed toward your retirement today. No one knows where tax rates will be by the time you retire and you likely in a low tax bracket now. So while it feels appealing to get a tax deduction for your contributions, as your income grows and you move to higher tax brackets, you will really appreciate the after-tax contributions you make today to a Roth 401K. Like your Roth IRA, your after-tax contributions ina Roth 401K grow tax-free and can be withdrawn completely tax free in retirement. Finally, if you focus your retirement contributions with one company, when you leave you may have enough in the plan that you are not forced to roll the funds out of the plan. This is nice flexibility, becuase in your next job, you want to be able to compare which plan has the lowest fees, the investment choices that best fit you and the rebalancing/allocation options that are most flexible. You may choose to combine all in to the new retirement plan, but you alternatively may decide to leave the funds behind in the first plan if it proves to be more attractive. How can I optimize my asset allocation strategy as a 22-year-old who is trying to retire early? If you have extra cash flow available, the best thing you can do is maximize the contributions to your Roth 401K. This money will grow and come out tax free forever. If you retire at 55, the Roth 410K funds, and all their 33 years of growth, will be available for withdrawal tax free to help fund your retirement. You can contribute up to $18,500 into your 401K or Roth 401K in 2018.